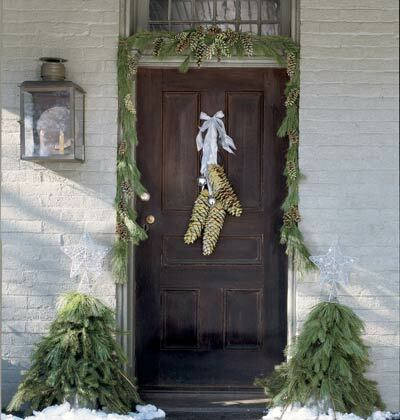 When I am called to stage a home for the holidays, I remind sellers that too much holiday “stuff” camouflages a home’s architecture and can be very distracting. 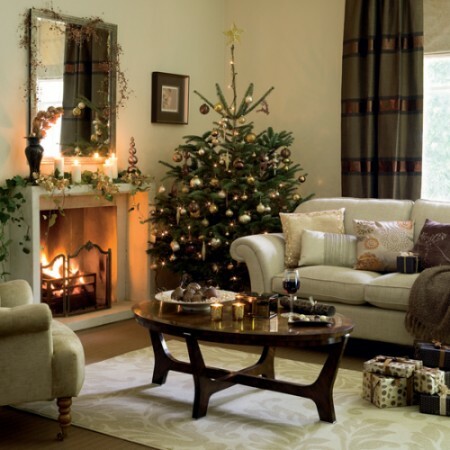 The goal is to show how beautiful the home can look for the holidays, not have buyers focus on the decorations. You want them thinking ”I wish this was MY home for the holidays!” Tasteful holiday decor can actually be an asset to a sale because it can be very warm and welcoming. But it needs to be classic, simple and quiet. Even if you have 20 Christmas boxes in the attic, exercise restraint and think, “less is more”. Better to have a few larger focal pieces than a hundred little items creating visual chaos. Another important concept is to use a neutral color scheme. Bright red & green is distracting, and rarely ties in with the home’s existing color palette. A neutral palette of fresh greens, beautiful metallics, and classic whites/creams works every time with all types of decor. White flowers such as paper whites, white hydrangeas… a vase of white roses complimented by evergreens are elegant and timeless. 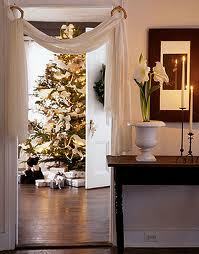 If you choose to have a tree, keep it smaller and/or narrow to conserve space. Use white lights, and don’t use all your ornaments, just your best ones: metallics, glass, and ones made of natural materials. Unless you are willing to color coordinate the gift wrap as well, keep the presents tucked away, not under the tree. Finish with a beautiful tree skirt. Don’t underestimate the power of a crackling fire to set the holiday mood for an open house/showing, as well as the smell of baked goods and live greens to enhance your seasonal decor. You can have Christmas cookies, bowls of nuts or special chocolates in the kitchen to bring it all together. As at any other time, your home’s exterior is also very important. The first impression is critical. Hang a fresh evergreen wreath on the front door, or flank the door with small evergreen trees in pots. If you live in a warmer climate, you can use large, white poinsettia plants. And nothing says “The Holidays” more than twinkling lights on the house, but don’t overdo it, and keep those white. Also, don’t clutter the front yard with Santa inflatables, a herd of reindeer, or lit candy canes outlining the way to the front door. And last but not least…because not everyone shares the same religious beliefs, avoid decorations of a religious nature, and have the decorations up only two weeks prior to Christmas and take down within a week of New Years Day.